PDPlay produces the highest quality commercial playgrounds on the market. Our commercial children’s play structures and recreation site furnishings are manufactured primarily out of recycled plastic that is safe, durable and virtually maintenance free. The company takes a proactive approach to safety compliance by continuously upgrading our products and creating new playground structures that meet or exceed United States and international safety requirements including guidelines set forth by the International Playground Equipment Manufacturers Association (IPEMA), the Consumer Product Safety Commission (CPSC) and ASTM International. PDPlay’s play structures are designed in accordance with the latest American with Disabilities Act (ADA) standards. The Consumer Product Safety Commission is an independent agency of the United States federal government whose purpose is to provide the public with current product safety information and recommended safety practices. The CPSC Handbook for Public Playground Safety can be found on the agency’s website at www.cpsc.gov. ASTM International, originally known as the American Society for Testing and Materials (ASTM), is one of the largest voluntary standards development organizations in the world and a trusted source for technical standards for materials, products, systems and services. Known for their high technical quality and market relevancy, ASTM International standards have an important role in the information infrastructure that guides design, manufacturing and trade in the global economy. For information about The Standard Consumer Safety Performance Specifications for Playground Equipment for Public Use, published by ASTM International, visit the organization’s website at www.astm.org. In the interest of playground safety, the International Play Equipment Manufacturers Association (IPEMA) provides a Third Party Certification Service whereby a designated independent laboratory, Detroit Testing Laboratory, Inc., (DTL), validates an equipment manufacturer’s certification of conformance to the ASTM F1487 Standard Consumer Safety Performance Specification for Playground Equipment for Public Use, except sections 7.1.1, 10 & 12.6.1; to CAN/CSA Z614 Children’s Playspaces and Equipment, except clauses 9.8, 10 and 11; or both. A list of current validated products may be viewed at www.ipema.org. 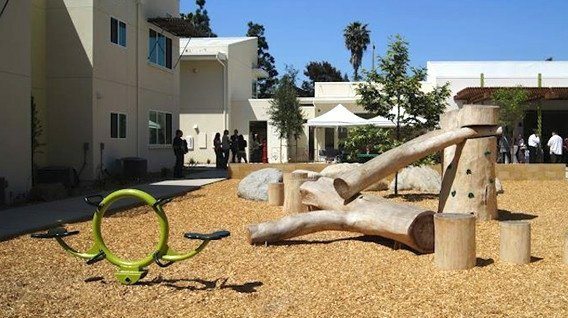 By reducing waste and pollution, increasing community education and involvement, and by simply seeing a problem and findinvg a solution, PDPlay was awarded the San Diego Earth Award in 1997 and 2005 for being an environmentally responsible company. San Diego EarthWorks, a non-profit organization committed to education and action on environmental issues, presented the award. GSA (General Services Administration) – GSA allows federal government entities to purchase PDPlay products at most favorable pricing while satisfying agency purchasing requirements. CMAS (California Multiple Award Schedule) – CMAS allows state and local government entities to purchase PDPlay products at most favorable pricing. The use of this contract is optional and available to any and all state and local government agencies. No bids are required to purchase. CMTC (California Manufacturing Technology Consulting) Made In California program is dedicated to highlighting the contributions of California’s manufacturers and raising awareness of the products made in the Golden State.